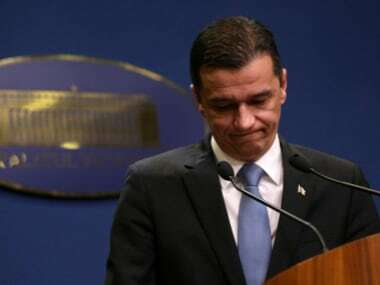 Bucharest: Romania's ruling party submitted a no-confidence vote against its own government on Sunday after it withdrew its support for the prime minister. Mihai Fifor, a Senator of the center-left Social Democratic Party read out the motion against Grindeanu, who is accused of not implementing the party's program. Parliament will vote Wednesday on whether to dismiss the government. The motion accuses Grindeanu of "contempt for democratic rules... immaturity and political irresponsibility." Grindeanu, in office since January, denies that he has underperformed. He claims the powerful party chairman, Liviu Dragnea, who can't be prime minister because of a conviction in 2016 for vote rigging, wants to install a party loyalist as premier. The Social Democrats and their political allies need 233 votes out of a total of 465 seats to remove the government.